Dating is a whole new world. Previously, you were stuck with whoever was in your close circle of friends and acquaintances, but since the explosion of technology people now have access to potential partners all over the world. The downside? Competition. Sure, your mom thinks you’re amazing, but how do you prove that theory to a complete stranger? Most dating apps force you to make a quick decision based on a profile picture or person’s bio, so you have to be interesting in under 20 words. Not the easiest task. That’s where the dating app, Hinge comes into play. 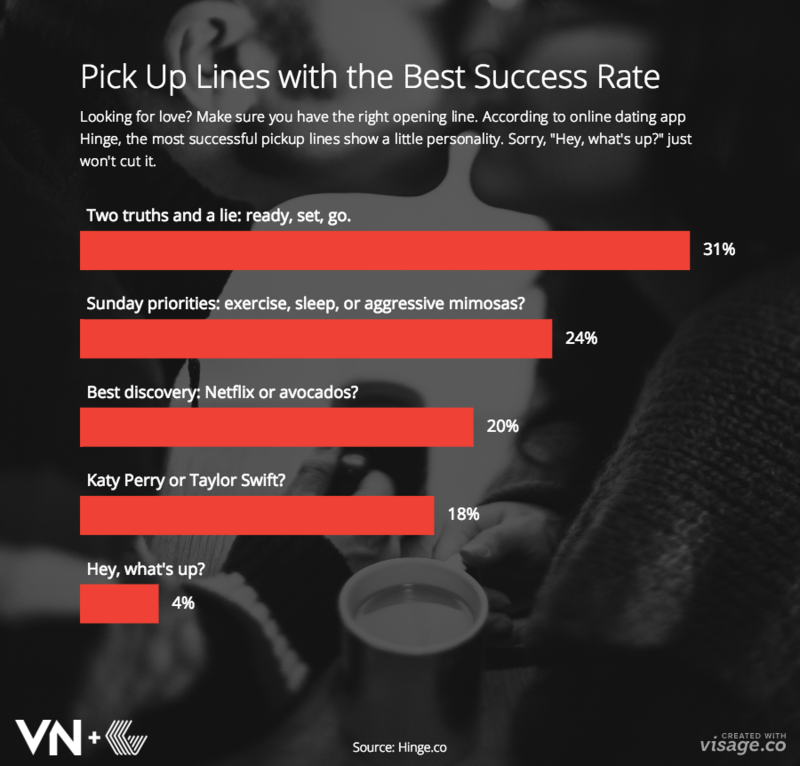 They took a look at the most commonly used pick up lines, and which lines had the highest success rates. I’ll be honest, my experience with pick up lines hasn’t been incredibly successful, but I can honestly say I’ve never used any on this list. So, take a look at these highest rated pick up lines and let us know in the comments if you’ve found any success with other pick up lines I could use this weekend.